I still remember like it was yesterday (although it was a few more years than I would like to admit), walking down the aisle of my local art store and picking up some pastels for the very first time. I had a friend in art school do some work with pastels, and I was always awe-struck by the results. The vivid colors from such a small stick were amazing. Double that with the light supply requirements (i.e. no huge H-Frame easel, tons of brushes, solvents, palettes, etc.) it was the perfect medium for me, a starving art student just trying to make ends meet. But I remember something at that time, and one thing that I wanted to share with you today, wondering what the heck the differences were between soft pastels and oil pastels. While both of these mediums are sold side-by-side, they are wildly different. The only similarity that they share are the ‘pastel’ in their name, their stick form, and that they both contain pigments – that’s about it! In fact, knowing what I know now, I feel like these two mediums should hardly share the same name! But alas, the art gods have spoken, and this is what we have. Regardless of Oil Or Soft Pastels – They Are Fun! As we eluded to earlier, the composition of both soft and oil pastels is starkly different. These all work together to form a stick (typically round or rectangular) that crumbles as it glides along the surface. Like soft pastels, these are often found molded into both round and rectangular forms but will feel much greasier to the touch. Now the ingredients are key to understanding the expectations that you will get from both of these mediums. Soft pastels are going to feel a fair bit chalkier, kick up dust as they are being worked (which it’s often recommend to work with them in a well-ventilated area or wear a respirator), and have a lesser degree of permeance when they are applied to a surface – simply due to the fact that they can be pushed around rather easily. …but we will look at this in more detail in just a short minute! With this medium, the results that you should expect will be starkly different from soft pastels, instead of being chalky, this oily and greasy feeling medium won’t kick up dust as it’s being worked. Instead, oil pastels are rather firmly fixed to the surface once they are applied. Secondly, oil pastels create completely different strokes. 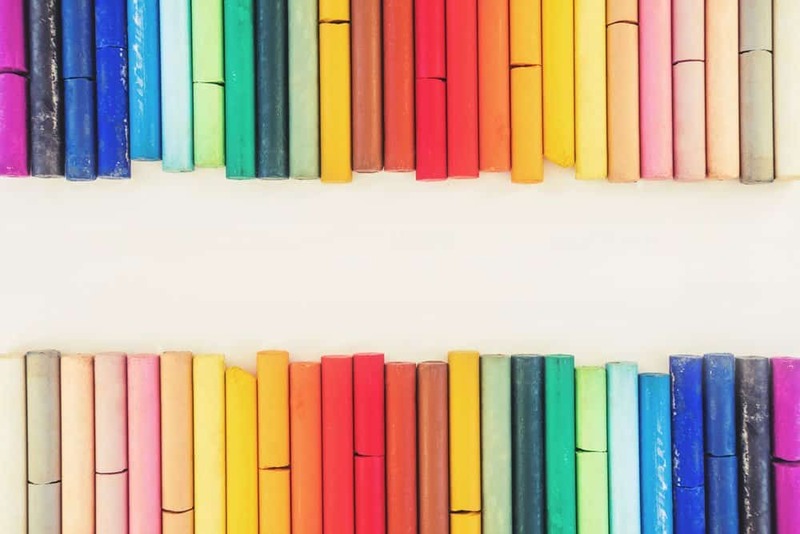 The best analogy that we could come up with, and one that we have seen mentioned a few times on artist message boards, are that oil pastels are the perfect alternative to oil paints. Creating much broader marks on the paper, oil pastels are used in a more expressive manner (not great for detailed work). …it’s not that they can’t blend – rather, it just takes a bit of layering and persistence on your end to make it happen. 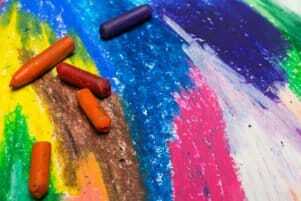 One thing about oil pastels that artists do absolutely love is their brilliance. With such a simple composition in the stick (remember the three ingredients we mentioned above), the final results that you do get with oil pastels will be extremely vibrant. This can create stunning works that truly standout. Beyond color vibrancy, one last note to touch on with oil pastels is the techniques that can be used (again, we will go over these in a bit more detail in just a minute). 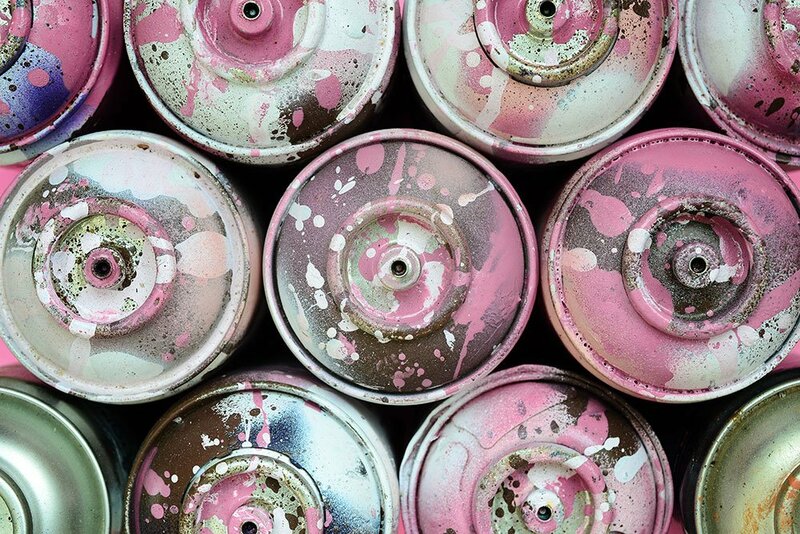 Given that they rely on oil, they can easily be manipulated with the popular solvents found in oil painting studios – namely turpentine and odorless mineral spirits. This makes them fairly easy to thin out and even create washes with. As exciting as these two mediums are, sometimes budget may dictate artistic endeavors – it sure did for me at one point in my life! So, to try and make sense of the price of oil and soft pastels, we decided to fire up Excel (and sit through countless updates as we haven’t used it in ages!) and look at it in a bit more analytical sense. First, the prices were pulled from Blick Art Materials website. Unlike other popular retailers that fluctuate their prices on a minute by minute basis, these prices are likely to be a bit more stable. So, we feel semi-confident they aren’t skewed at all nor will be different for you when visiting the site. Secondly, we tried to price compare like brands – namely both the Holbein and Sennelier pastels (these were surprisingly also the only two companies that made both oil and soft pastels). As you can see for the Holbein and Sennelier pastels, the price per cubic inch between both their lines were nearly identical, with exception being the Holbein Soft Pastels. This made us dig deeper into some of the other brands on the list to see if soft pastels typically cost a bit more. So, after looking at both Rembrandt and Blick Artists’ soft pastels, compared to all other oil pastels, they weren’t really priced any higher. Now granted, comparing one brand to another adds in a lot of variances, such as company’s cost to make the pastels, profits, etc. So, you can’t really assign too much weight to single offering from other brands. If you are planning on going into either oil or soft pastels, don’t let your personal budget dictate the medium you want to try. They are fairly equal in price. Therefore, concentrate on the type of artwork you want to create and one that goes well with your personal style. Prices of individual sticks aside, one of the parts that artists love about pastels is the required supplies, or lack thereof. With pastels, they are beginner friendly when it comes to ancillary supplies. Without a required artists easel, mixing tray, palette knives, paint brushes (or at least not as many), canvases, etc. – they are fairly compact and accessible. While the list above might seem like a lot at first, in the world of art, it’s a pretty thin supply list. 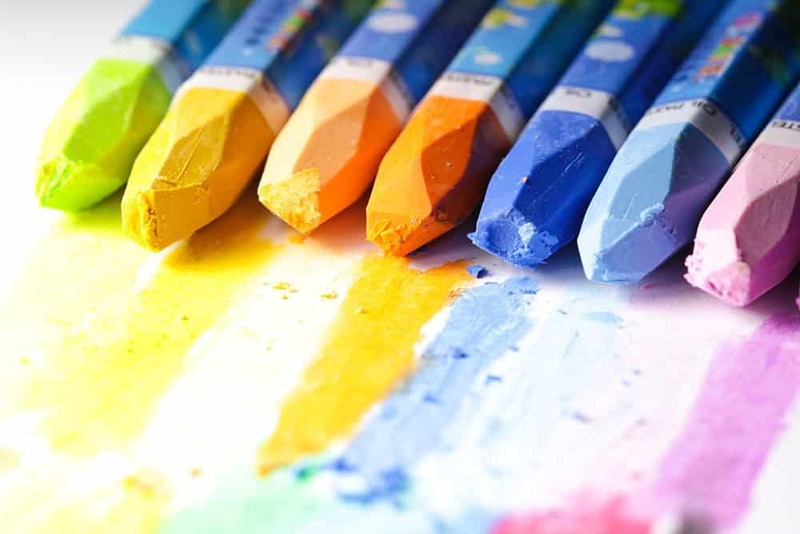 Set Of Pastels – When working with pastels, particularly oil based ones, you will likely need to own several different colors if you want to create captivating pieces. If you are still at the beginner or student level, we highly recommend opting for a set rather than purchasing individually. While purchasing individually has its merits, especially since you can test out various brands at once, when purchased as a set, you will instantly have a wide spectrum of colors to test and have fun with. Paper – Like watercolors, pastels need a certain type of paper in order for them to latch on too – i.e. a tooth. Various art companies that manufacture paper (i.e. Strathmore, Canson, etc.) do have a specific line made for pastels. While sure, a mixed media or watercolor paper can work when in a pinch, proper pastel paper will allow for easier blending and more control over the medium. 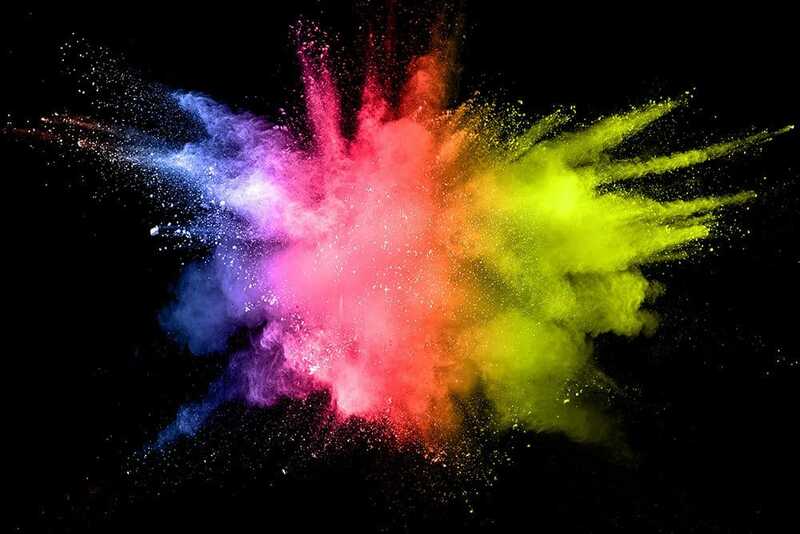 Fixative – When it comes to pastels, especially soft pastels, a fixative will be an indispensable supply. While some thrifty artists may like to use hairspray, a proper pastel fixative will keep the pigment and chalk in place. This not only can help make transporting your pieces much easier but it’s also required that you use a fixative on a finished piece. In addition to helping the pastel stay put, fixatives can also be used to add a layer or two to your piece as it does itself provide a light tooth for the pastel to work with. Blending Tools – Whether you use a tortillon, blending stump, or simply your fingers, when using soft pastels, blending is a huge component of the artistic process. These tools only cost a few bucks (exception being your fingers of course) and should be added to your studio – even if for only experimentation purposes. Tape – If you like to fix a piece of pastel paper to a drawing board or art desk, tape will be required. Just make sure that you go with one that is acid-free so it won’t deteriorate your artwork if you plan on keeping it for several years. Glassine – An alternative to a fixative will be glassine. A sheet of glossy paper can be gently pressed against your artwork to keep the pastel medium in place. Some pastel drawing pads actually alternate between glassine and pastel paper for enhanced protection. Art Desk Or Drawing Board – A quality art desk not only increases the comfort of the artist, but provides a silky smooth surface for you to do your work on. If you are serious about using pastels, or perhaps like to draw and sketch regularly, then an art desk is worth looking more into. Otherwise if you are more of a casual artist, then a simple drawing board is both portable and cheaper. 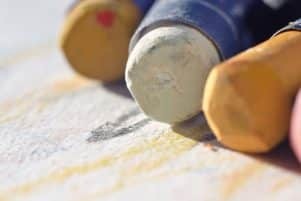 While it’s one thing to talk about soft and oil pastels, it’s another to actually see some of the techniques you can employ while making artwork. During our artistic endeavors and when researching for this particular article, we came across a few videos that we wanted to share. Like most art supplies, you can find pastels at any one of the major online art supply stores we covered recently here. These online art supply stores often have great deals and even better return policies. However, sites like Amazon of course offer a countless selection of pastels, both individually and part of a set. So, those are a few of the key essentials that you need to know about both oil and soft pastels. 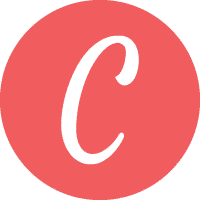 As we make mention several times here on Createlet, any medium can be both fun and challenging. In order to get the most out of your artwork, practice and persistence will still rule all. So, if you are on the border wondering whether or not to try pastels, we recommend diving in head first. It’s not only a fun medium to play around with, but it’s also one that doesn’t require a heavy investment. So, go out there and start making some beautiful pastel art!